With summer around the corner I spent the weekend gearing up for fitness and got a few new toys. This year I’ve slacked majorly in the fitness department but I’ve decided it’s time for some changes and started making them this past weekend. 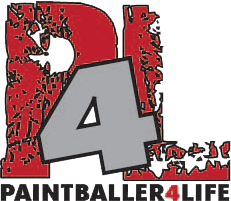 Over time these changes will stand to only help improve my overall endurance and abilities on and off the paintball field. Running hasn’t always been my favorite thing in the world but it’s good for me so I’m going to start doing more in the running front. I’ll admit I don’t get the same runner’s high that my wife does but it feels good to get out there plus I get to spend time with her (as long as I can keep up with her that is). I’ve also taken the plunge and signed up for something running related that I feel is a great concept and will keep me sufficiently motivated as well. I’ll follow up with another post sometime soon as I get more info to share. First on the agenda was to hit up Feet First in St Petersburg, Florida for a new watch. I’ve been here before to purchase my wife’s watch and found the staff to be very friendly and helpful. 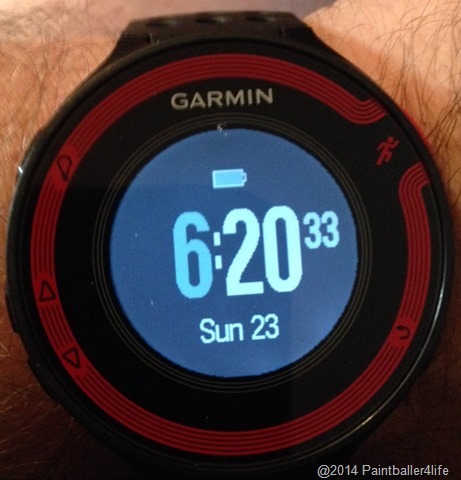 Many of you know I used to have a Nike watch but decided to go for an upgrade from my first watch and go with a Garmin. 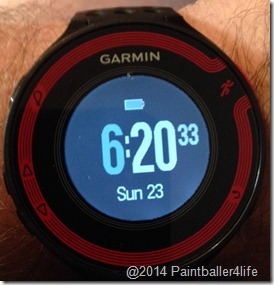 I went with the Garmin Forerunner 220 as the wife just recently got one and has loved it. When it comes to technology she can be kind of picky so I know if it got her seal of approval then I’ll be happy. Next on the agenda were some new shoes which I desperately needed. While I still have my running shoes I was in need of some every day shoes so I went with something that I could use for cross-training without killing my feet and breaking the bank. I decided to give Under Armor a shot to see if they can stand up to my day to day needs as well as my gym training with a bit of treadmill time thrown in for good measure. Diet and exercise have always been hit or miss for me forever so I’m taking the approach of starting to eat healthier as well. The wife is always pushing me in that direction but my sweet tooth always has other plans for me when it comes to something that will quench that desire for sweets. With these few changes I should be able to start taking a chunk out of that nasty old scale and see results both physically and mentally. What changes have you made to improve life mentally and physically? What things have you used to motivate you in the past?